I tried this quest as a level 1 Gnome toon in Ironforge that I had just rolled up and gave 10 silver to from my main toon. I bought and fired off the required fireworks and then got the invitation to the Lunar Fest and teleported over to Moonglade via the Moonbeam and ran into the nearby NE town (Nightshade?) and talked with the Lunar Fest NPC on the docks there. Just for completing that quest (talking to him) you get over 4700 XP points. That alone will instantly level up a level 1 toon several levels!!! Talk about a quick way to get up to level 5. Not sure if Blizzard intended this level 60 quest for level 1 characters but it works. If you want to skip the leveling in the n00b zones, just do this quest and you'll zoom up a few levels instantly and can start tradeskilling right away!!! Even on a level 8 character, you can practically gain an entire level from finishing the subsequent quest in Moonglade. It's worth about a 1/2 a level at level 13 too. This quest is bugged for me. No matter how many fireworks I launch I cannot complete it. I know I am doing it correctly because i made a level 1 character and ran to Orgrimmar and completed without issue. I put a petition into a GM. I'll report what he tells me in case anyone else is having this issue. Lunar Festival 08 it seems they've lowered the experience gained from 4700 to 1250, A shame but still quite a nice little boost if your just beginning levelling. The Festival Herald is at 41,32 in Ogrimmar, to the right of the great hall in the Valley of Wisdom. Now use your scroll in the moonlight, to get to moonglade. Deliver the quest at town. Now start out kill every Dear & Rabbit you find. to get back to you starting area/capital. This will bring you to about skill level 45 in leatherwork. so here ends this tiny skinning/leathrworking guide. I launched the 8 lunar fireworks, but when I started the clusters, it says "Requires Cluster Launcher". Where can I buy some? Or does it work without them? I just tried launching the clusters and the fireworks, but it isn't tracking them. Is anyone else having this problem? The "fireworks" here are indeed called rockets: Small Red Rocket, Small Blue Rocket, Small Green Rocket. I NEED HELPPPPP I USED THAT MOONSTONE I DIDNT FCKING FIND THE INVITATION AND IT WAS REMOVED WHERE DO I GET ANOTHER STONE? AND THE INVITATION! For the Lunar Fireworks credit, you can spam-click the rockets and complete it only using 2-3 instead of 8. The Stormwind/Elwynn version of Lunar Festival Harbinger lives at http://www.wowhead.com/maps?data=12:342506 . There are optional breadcrumb quests to get you to the Harbingers from some of the Lunar Festival Emissary. The Stormwind version The Lunar Festival starts with the one at http://www.wowhead.com/maps?data=1519:617757 . There's also an Ironforge version The Lunar Festival, and a Darnassus version The Lunar Festival. Anyway, this quest starts the actual chain. So many people asking how to launch rockets.. Many people feels this quest is bugged, but you need to be in rocket launchers to launch rockets so they will be calculated for the quest. Example for alliance you must be front of Stormwind where you get this quest to use rockets and clusters. you can complete this quest with one stop at the Lunar Fireworks Vendor in Pandaria at the Shrine of the Seven Stars. She is on the upper outside deck by the Flight Master. Just buy any 2 different fireworks clusters, and any combo of 8 fireworks, just walk into the area where the launchers are and right click each. Back up to the Harbinger and turn in the quest, Shazam! done. Oh yeah, would think should be the same at any Fireworks Vendor. Obviously, the small rockets are the better deal to buy, but the large rockets (Large Blue Rocket, Large Green Rocket, Large Purple Rocket, Large Red Rocket, Large White Rocket, and Large Yellow Rocket) also count, as it does not specify the size of the rocket. If you did Elune's Blessing the previous year and still have Lunar Festival Fireworks Pack, you can grab rockets from it and share the love with your main and alts. Launch 8 Lunar Fireworks and 2 Cluster Fireworks and return to a Lunar Festival Harbinger at any capital city. 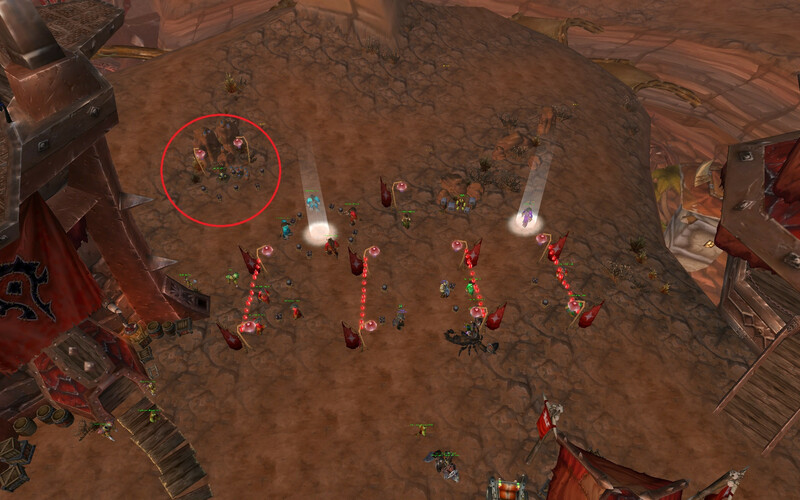 Every year the druids of Moonglade hold a celebration of our city's great triumph over an ancient evil. We celebrate the wisdom of our elders, share in magnificent feasts and of course... shoot fireworks! For a small donation you can purchase colorful rockets from our vendor. Try using some of the launchers around here, <name>. Now that you're in the spirit of things, why don't you take this invitation to the festival in Moonglade. It's quite an enjoyable celebration, if you have the time to spare. We share food, drink, stories and of course... more fireworks! Open the invitation while standing inside the circle of greater moonlight and you'll be transported to Moonglade.